Les Vignerons D’ Estézargues is a co-operative cellar in the small town of Estézargues that is located near Avignon. Les Vignerons D’Estézargues is truly unique in the wine world. All over France, the co-op still plays a very important role in the production and sale of wine. Co-ops receive grapes from members and then make wines from them, these wines are made in large batches and grapes from many different vineyards are vinified together; the focus is on producing wine in quantity. 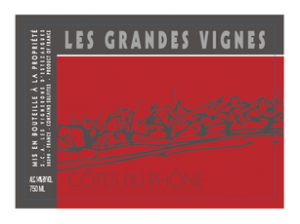 Les Vignerons D’ Estézargues takes a fundamentally different approach; starting in 1995 the ten different growers in this co-op began to vinify their wine separately and make single cuvées from their best plots. 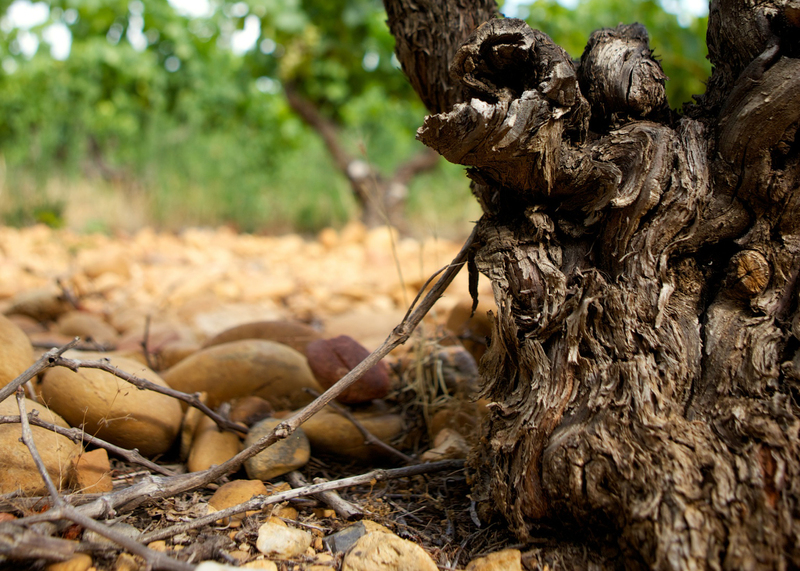 On the heels of the single cuvée evolution Les Vignerons D’ Estézargues began to practice natural winemaking. 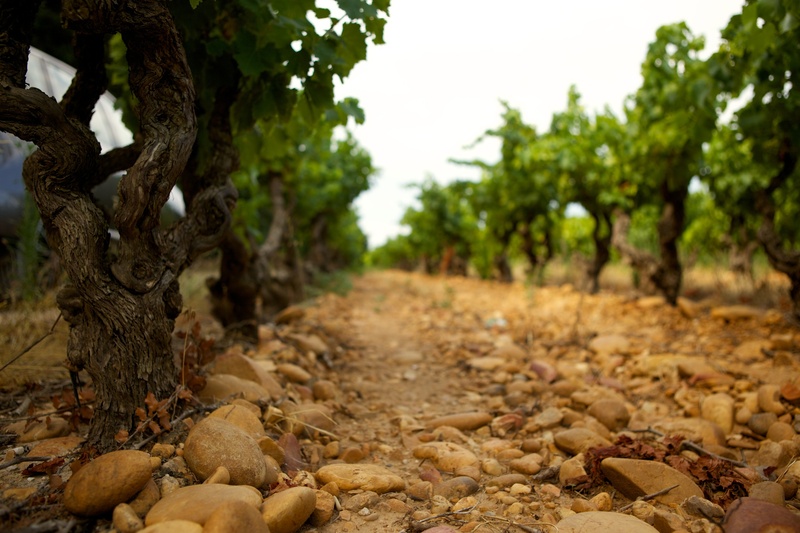 Possibly one of the only co-ops in the world to do so, Les Vignerons D’ Estézargues uses no external yeasts, no filtering, no fining and no enzymes are employed on the grapes during the winemaking process. 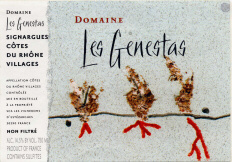 Michael Trebillon is one of the winemakers behind Les Vignerons D’ Estézargues, he grows the fruit for Domaine les Genestas, and Denis Deschamps makes the wine, where their collective efforts have been hailed by wine lovers and critics around the world. Vinification Method: Hand Harvested. No external yeast or enzymes are employed during the winemaking process. 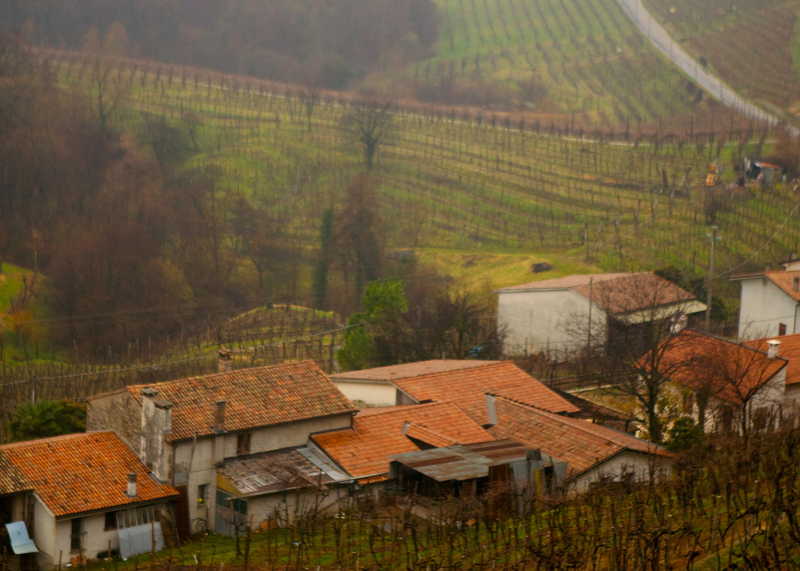 The wine is stored in enamel-lined tanks for 10 months before it is bottled without fining or filtration. Tasting Note: Ruby red in the glass with a pretty amethyst rim. 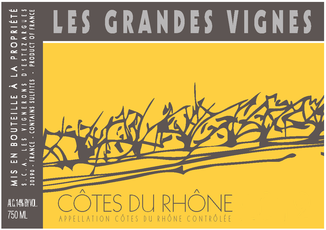 The nose is redolent with smoky notes of cassis, blackberries, dried orange peel and sweet spice. The palate is a plush and delectable expression of red and black fruits backed by brambly tannins and the wine finishes with a supple dash of orange zest and black pepper. Pairing: Grilled lamb, sausages, steak, chicken and pork in hearty red sauces. Vinification Method: Hand harvested. No external yeast and no enzymes are employed during the winemaking process. 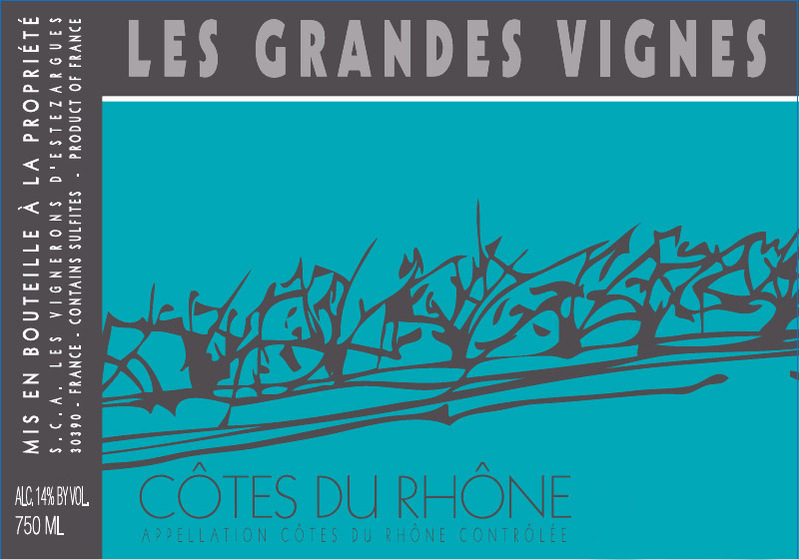 The bunches are de-stemmed and the fruit undergoes fifteen days of maceration. The wine is stored in enamel-lined tanks for 10 months before it is bottled without fining or filtration. Tasting Note: Garnet in the glass with shimmering highlights. Elegant notes of smoky red fruit, violet, sweet herb and a note of baking chocolate. The palate is rich with ripe cherry and berry flavors, and a mineral note that is followed by supple acidity and velvety tannins. 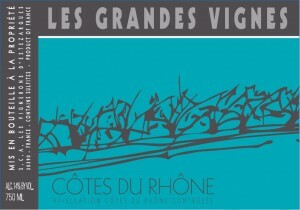 This is a very expressive red with a great concentration of fruit that is never overly extracted. The wine finishes with floral notes and a dash of black pepper. Pairing: Works wonders with grilled chicken and pork, cold cuts, or simply by itself. Vinification Method: Hand harvested. No external yeast & no enzymes are employed during the winemaking process. The bunches are destemmed and the fruit undergoes ﬁfteen days of maceration. The wine is stored in enamel-lined tanks for 10 months before it is bottled without fining or filtration. Vinification Method: Hand harvested. No external yeast and no enzymes are employed during winemaking. The bunches are destemmed and the fruit undergoes fifteen days of maceration, The wine is stored in enamel-lined tanks for 10 months before it is bottled without fining or filtration. Tasting Note: Pale straw in the glass with shimmering silver highlights. Scents of pear and mellowing yellow apple dominates the nose and are followed by a note of hay and white flowers. The palate is clean and supple with intense flavors of stone fruit and some tropical fruit flavors as well. The wine finishes with notes of dried apricot, white flowers and wet stones. Pairing: Works beautifully by itself or with chicken, rabbit, & grilled fish dishes. Vinification Method: Hand harvested. No external yeast and no enzymes are employed during the winemaking process. The fruit undergoes twenty days of maceration and the wine is stored in enamel-lined tanks for 10 months before it is bottled without fining or filtration. Tasting Note: Nearly black in the glass with a deep purple rim. Scents of black plum, cured green and black olives, orange pulp and smoky bramble dominate the nose. The palate is a deep and luxurious expression of ripe black and red fruit flavors followed by dried meat tones and sweet herbs. This powerful blend is boosted by supple acidity and the wine finishes with subtle tannins. Pairing: Works beautifully with leg of lamb, grilled venison, wild boar sausages, roasts. Vinification Method: Hand harvested. No external yeast & no enzymes are employed during the winemaking process. 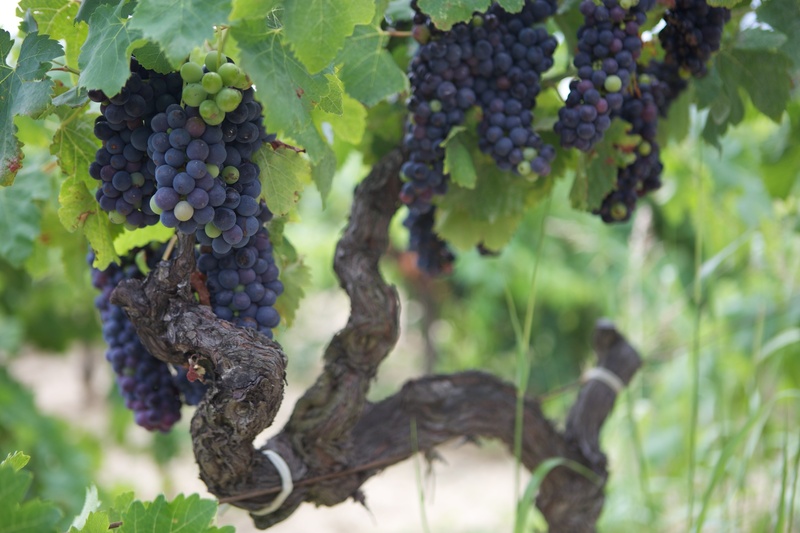 The bunches are destemmed and the fruit undergoes fifteen days of maceration. The wine is stored in enamel-lined tanks, and are bagged and boxed on demand. Tasting Note: Garnet in the glass with shimmering highlights. Elegant notes of smoky red fruit, violet, sweet herb and a note of baking chocolate. The palate is rich with ripe cherry and berry flavors, and a mineral note that is followed by supple acidity and velvety tannins. This is a very expressive red with a great concentration of fruit that is yet never overly extracted. The wine finishes with floral notes & a dash of black pepper. Pairing: Works wonders with grilled chicken & pork, cold cuts, or simply by itself. 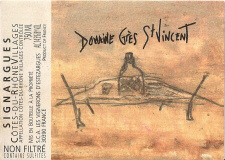 From the Tank® was born out of the collaboration between François Ecot of Jenny & François Selections and Denis Deschamps of Les Vignerons D’ Estézargues fame. They decided on a blend for the three-liter bag-in-box that would be the exact same quality as what Jenny & François bring to the US in bottles. Each year, the From the Tank® wine fountain is a special blend made just for Jenny & François Selections.